LIFE IS A GAME - PLAY IT! Imagine you are watching a cricket match and at a crucial moment, your favorite player who had been playing superbly was caught out! You might have been disappointed, but did you ever expect the chairman of the cricket board to come down and declare your favorite batsman to be not out since he was playing so well? 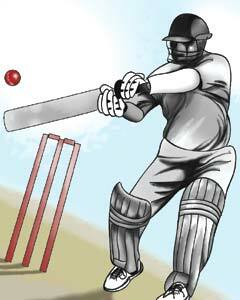 Or did you ever expect the umpire to change the rule of the cricket game temporarily so that he would not be out? No, because we understand that there is no fun in the game without rules. And changing or transgressing the rules in the middle of the game, spoils the spirit of the game. The same human mind which not only appreciates, but also expects the sports and games to be exciting, with unexpected twists and turns, questions God when it comes to the game of life. So, we have certain rules in this game of life to abide by; rules by which the nature runs. We have our duty towards Mother Nature, and we should do our best towards preserving the environment in its best shape, while seeking God’s Grace and help for the same. On the contrary, if we act in a way such that the balance of nature is disturbed, chaos is bound to arise. The same nature, which provides man the resources for his sustenance, can turn hazardous. In terms of the cricket analogy, the same ball, which when timed properly could have fetched the batsman a six runs, would also get him out, if played carelessly. Pollution and environmental problems are increasingly seen as the biggest threat the world faces today. 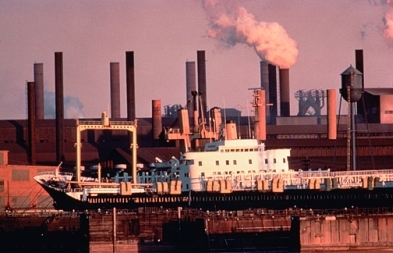 And it was the Industrial Revolution which marked a major turning point in human social history that also gave rise to modern environmental pollution as it is generally understood today. The emergence of great factories, consumption of immense quantities of coal and other fossil fuels, emission of dangerous chemicals as waste gave rise to unprecedented pollution of water, air and soil. The automobiles and electricity came up, the comforts increased; and along with them the harm to nature. The fossil fuels, used by them, generate green house gases, which in turn increase the average temperature on earth. This phenomenon termed as global warming, (which by now everybody has heard about, whether he/she understands the phenomena and its implications or not) is expected to be the cause for various other environmental havocs. Even ancient and common human activities like agriculture and livestock farming, which are supposed to be more nature-friendly than others, are today posing great threats to the environment. Inefficient irrigation, which wastes water, and massive deforestation are outcomes of today’s agricultural practices. Agriculture uses more than 50 percent of habitable area of the planet, including land not suitable for it. Overgrazing by cattle is leading to soil erosion and desertification. Trees play a vital role in helping mankind receive oxygen from the atmosphere while they absorb the carbon dioxide exhaled by human beings. Hence, the ancients favoured the growing of trees to control atmospheric pollution. But nowadays trees are cut down indiscriminately and pollution is on the increase…. The primary task is to purify the environment which is affected by pollution of air, water and food. All the five elements are affected by pollution. People should, therefore, try to reduce the use of automobiles and control the emission of harmful industrial effluents. Peter Raven, former President of AAAS (the American Association for the Advancement of Science) says, “During a remarkably short period of time, we have lost a quarter of the world’s topsoil, and a fifth of its agricultural land, altered the composition of the atmosphere profoundly, and destroyed a major proportion of our forests and other natural habitats without replacing them”. The root cause, according to him, is the collective impact of human numbers, consumption per individual, and our choices of technology exploiting world’s resources at an unsustainable rate. Impending energy crisis is also another major threat we face today. However, it must be agreed that the use of natural resources is an essential condition for human existence. But the problem arises when exploitation happens in an uncontrolled and non-sustainable manner. As a solution to energy crisis, all the nations today are seeking to turn to renewable sources of energy, and technologists are busy devising energy-efficient machines. This will, no doubt, be of great help, but it should be said that with growing population and increasing standards of living, the demand for energy would be on the rise. Therefore, unless mankind commits to save energy and reduce pollution by limiting his demands for luxury, the development of renewable sources and energy-efficient machines will still prove a chase of a receding target. Some suggest a radical political change and modification of the governing laws, to be the most efficient solution for the world’s environmental crisis. Others say better designs and new technologies would solve the problems. And there is a minority who advise that reformation should come in every individual’s attitude. Whether one is politician or a technologist, he/she is first an individual, and only when each person commits to preserve nature, can anything substantial be achieved in nature care. We are prone to take the creation for granted, thinking that it is but insentient Nature, thereby ignoring the Sentient Principle that regulates nature and imparts a proper balance among its various constituents. Scientists and technologists, in pursuit of selfish interests as well as of name and fame, utterly disregard the security and welfare of the society and the nation, by upsetting the balance in Nature, which results in various accidents, calamities, losses and misery to the public at large…The rapid and excessive proliferation of industries, factories, automobiles, etc., with the attendant pollution of the atmosphere is responsible for the increasing incidence of diseases like eosinophilia, asthma, deafness, pneumonia and typhoid, etc. However, science per se is not bad; what is necessary is for man to put it to proper and judicious use. The key solution, therefore, is the change in the attitude of man, which makes him feel as the pinnacle of creation with the right to make the most of the environment, often recklessly, to meet his ends. Even if all the governmental policies are strong and efficient technologies are around, if man does not have a ceiling on his desires, can we ever avoid getting into such problems? A surprising fact which demonstrates the importance of ceiling on desires is that worldwide, the number of people who are overweight has surpassed the numbers who are malnourished! In a 2006 news story, MSNBC reported, “There are an estimated 800 million undernourished people, and more than a billion considered overweight world over”. So, unless man has control over his mind, and the will to remain within limits, he can spoil the quality of his life even when surrounded with abundance of all resources! Now, where does this will to control one’s desires come from? From a materialistic point of view, it might be hard to find a reason strong enough to sacrifice some of our comforts, which we can happily afford, for the welfare of our fellowmen and future denizens of earth, whom we would never even see. Only the outlook of ‘Vasudhaika Kutumbakam’ (the world is One Family) can inspire one fully to care for tomorrow’s generations. It is this attitude that is constantly emphasized by Bhagavan Baba and exemplified in His continuous acts of service to humanity. 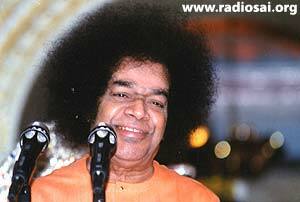 The prayer He teaches us is ‘Lokaa Samastha Sukhino Bhavanthu’ (‘Everyone should be happy’). And this change in attitude needs to come in each and every individual. 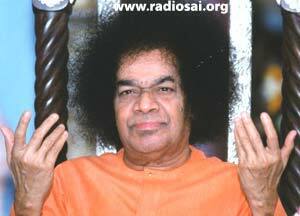 Baba clearly says that without individual reformation, the reformation of society is impossible. We all, therefore, have our part to contribute. Which ocean was ever formed without those drops of water? The entire atmosphere is surcharged with electro-magnetic waves. Because of the pollution of these waves, the hearts of human beings also get polluted. 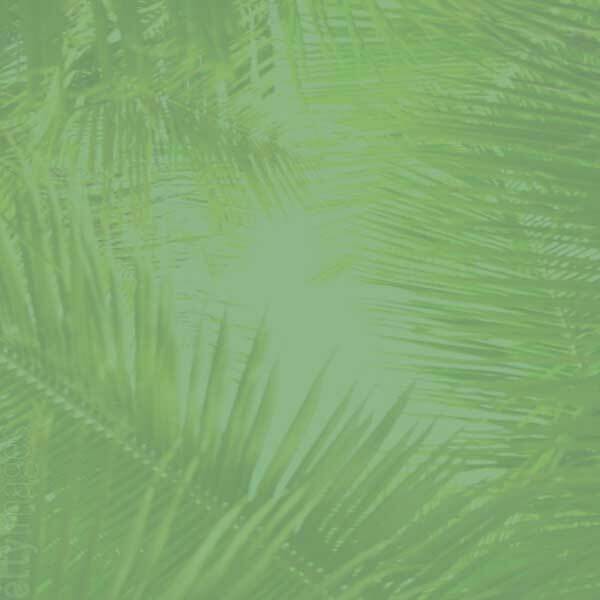 To purify this atmosphere, you have to chant the Lord's name and sanctify the radio waves. There is pollution in the air we breathe, the water we drink and the food we consume. Our entire life has been polluted. 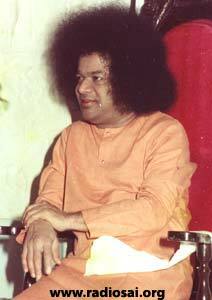 All this has to be purified by suffusing the atmosphere with the Divine name. Chant the name with joy in your hearts. Each and every one among us can work towards a better earth in our own little ways, and it is not surprising to see that the solutions of these problems are all found in the ways of life which Bhagavan prescribes and urges us to follow, not only in His Discourses, but also by the example of His very own Life! If we care to share, we would not mind using public or shared transport whenever possible, instead of using our private vehicle every time, and thus we would have reduced the automobile-generated pollution and consumption of fuel. 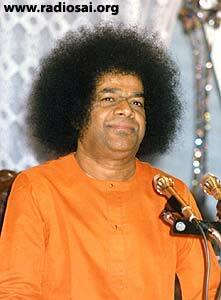 And as in every other aspect, Bhagavan drives lessons to us by His own style of living. His Car is always filled with people whenever He travels long distances. Once in Bangalore, Swami called Prof. Anil Kumar and cautioned him of an un-attended tap that was running in the college, not only demonstrating His Omnipresence, but also teaching a valuable lesson to save water! And people in close proximity have always seen Bhagavan using the back-sides of the envelopes to write small notes. In fact, if one sees the manuscripts of Prema Vahini, Dharma Vahini and other articles that He used to write for ‘Sanathana Sarathi’ in the earlier years, one will be amazed to see how Swami used every inch of the page. He never wastes paper. And anybody who has gone for an interview knows how Swami Himself switches the fan off before coming out of the room. When the Source of all resources Himself is using the resources optimally, aren’t there lessons for us in it? He could just have created an inexhaustible supply for us, if that is the complete solution for our plight today, but He Himself is respecting the limitations of the resources! This is how He keeps the rules of the game He has designed. There are various other ways in which we can care for our environment. By reducing the use of plastic; say, by carrying water with us when we go out, so that we need not buy packaged water, or by using equipment with “energy star” standards etc. which can help contribute towards making a better earth. But, the spirit in which we implement these, and thereby the joy we derive from that extra effort and sacrifice, is as important as the number of ways in which we care. In fact, the care for the environment would come naturally to anyone who is committed to the principle of love and devotion to God, who manifests in every single inch of the Universe; for, a mistreatment of nature amounts to disrespecting the omnipresent Divinity itself. We know instances of Bhagavan visiting a place where a particular construction activity is on, and immediately finding a misplaced nail or wire that could have hurt someone! It shows how spontaneous His care and concern is to prevent the problems of others! And how tenderly He handles everything! And speaks with what a mellow! This pure love is what when translated into action becomes Dharma. And Dharma, or right action, is what protects the world. It is love that automatically turns every single action of ours into a beneficial and auspicious act to the world. Instead of strengthening the core value of love, if we just look at environmental care as one more bullet in our to-do list, it might appear like a sacrifice of one’s pleasures. The question “Why should I not spend it, when I can afford it?” might arise in the mind. We may succeed in one aspect but fail in the other. For example, we may have saved fuel because we enjoy cycling, but might not have fared too well in saving electricity if we are a little too lazy to keep turning off the switches promptly when not being used! These differences in our implementation arise when corrective action is applied not at the core of our values. When the air we breathe is itself polluted, how are we to lead a pollution-free life? The environment and the elements should be pure to ensure purity of heart. The cause of this pollution lies nowhere else except in our own actions. Whatever words we utter, they spread to the entire atmosphere. 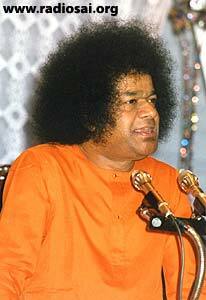 We can purify the atmosphere of the world by chanting the sacred hymns and singing the glory of God. Instead, when love is the base, the right attitude and right action automatically result, so effortlessly, just as sugar whose basic property is sweetness, adds sweetness to everything it is put into. Without love, the rules of control and care appear as hurdles to pleasure. With love, they are the ones which keep the fun on. Life is a game, take it cool. Play it! Dear Reader, did you find this article inspiring? Do you have such experiences in our daily life that you would like to share? Please share your thoughts with us at [email protected] mentioning your name and country. Thank you for your time.